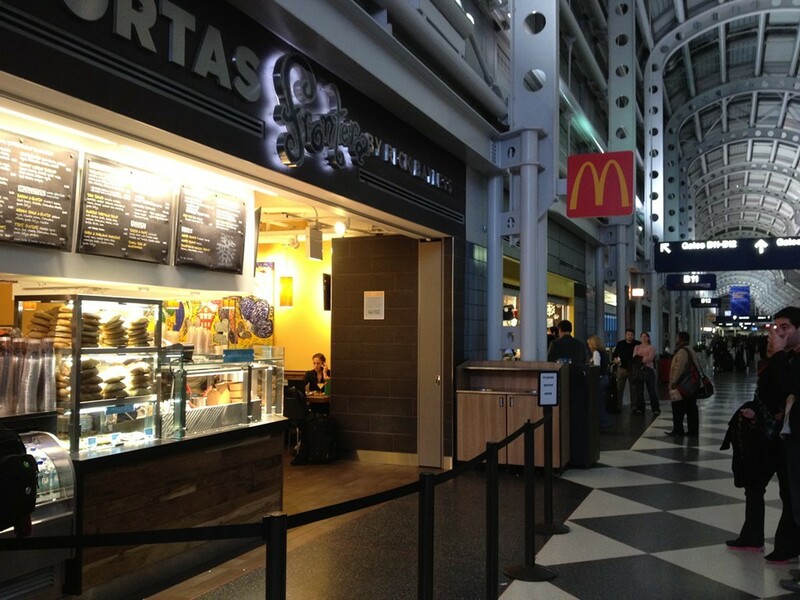 If you took a quick gander at the sheeple herded in front of McDonald's in O'Hare's Terminal One, you couldn't guess Rick Bayless was doing God's work right next door. 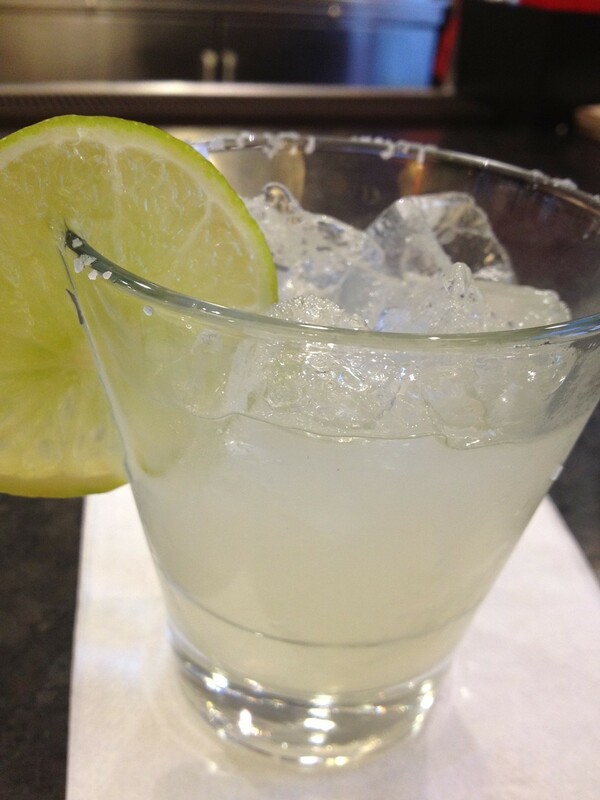 I showed up for a flight early last week, expecting Xoco-length lines at Tortas Frontera, his first quick-serve sandwich joint in the airport (the second recently opened in Terminal Three), but I breezed in and bellied up to the small bar in the rear for a couple tortas and some preflight medicative margaritas. These couldn't possibly approach the quality of his River North tortas, could they? Pretty damn close. This place should be mobbed. Have you ever seen an airport food-service worker dancing to Rita Indiana y Los Misterios while she's putting together a sandwich? It bodes well. 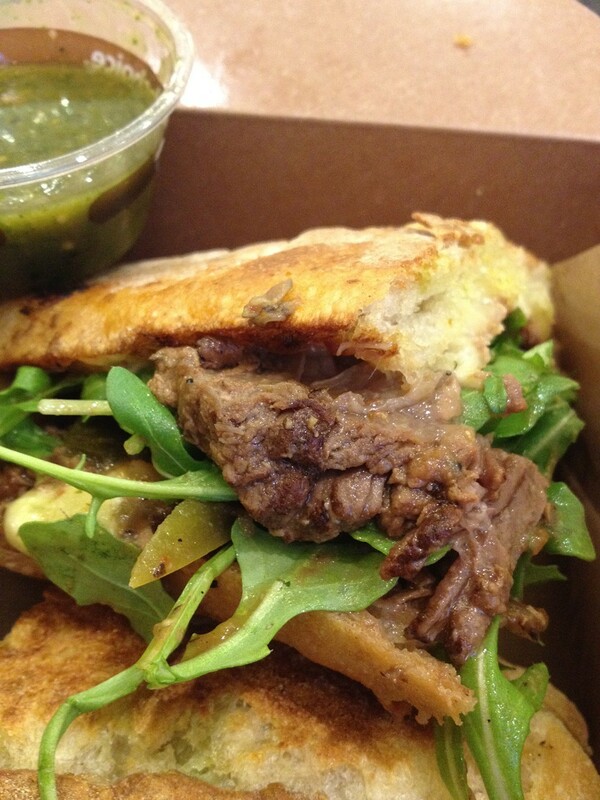 Similarly, I'm certain nothing like the beer-braised short rib pepito has ever been prepared within the restricted confines of any airport terminal, let alone in the complacent company of spongy overpriced Wolfgang Puck pizzas and wet Berghoff Cafe sandwiches. But there it was, 50 cents cheaper than its wood-fired city cousin, smeared with black beans and Chihuahua cheese, tarted up with pickled chiles and peppery arugula on a griddle-crisped Labriola bolillo. Damn. So too, the less textured choriqueso, a slather of crumbled pork sausage, roasted poblano strips, and fat chunks of creamy avocado—a sandwich that humiliates the competition. A cup of creamy corn and poblano chowder later, and my only complaint was that the otherwise bright, fresh margaritas were a little light (requiring two). A second visit upon arrival five days later was mandatory. Same thing: McD's mobbed. Tortas Frontera quiet, but for a few bewildered wayfararers gazing up at the menu board crowded with breakfast tortas and yogurt, open-faced molletes, soups, salads, and guacamole. 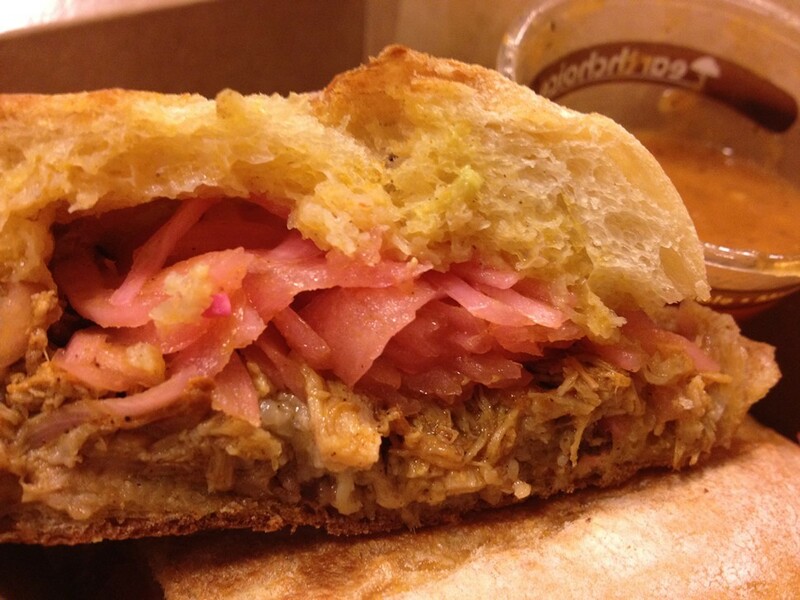 This enabled the relatively speedy appearance of a cochinita pibil torta, the bread stuffed with luscious braised pork and pickled red onions with a side of incendiary habanero salsa, and a chipotle chicken torta with thick slices of breast meat in smoky salsa, swaddled among avocado and cheese. I only recently got the ol' ankle bracelet taken off, so I haven't been to the airport enough in the last year to know whether Tortas Frontera gets any busier. But I do know you can't even get Mexican food like this at Benito Juarez, and though the prices may seem steep, like Xoco, they're justified by the component parts of everything you're eating. There's no SYSCO here, just a long list of local suppliers—Klug, El Milagro, Intelligentsia, Goose Island, Milk & Honey, Seedling—names perhaps meaningless, even intimidating, to those just passing through, but a beacon to anyone more familiar with the Bayless brand beyond the man's turn on Top Chef Masters. That he can parlay his celebrity into a high-quality mass-market restaurant in an environment that traditionally forbids one is triumph in itself. That he's managing to spread the gospel of local terroir is quite another. Here's hoping the flock pays more attention.